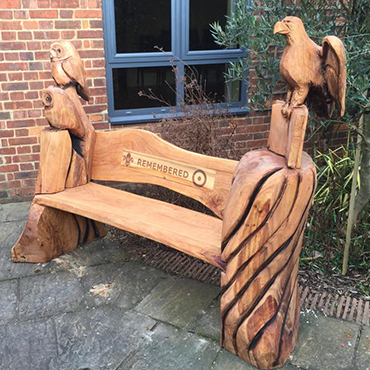 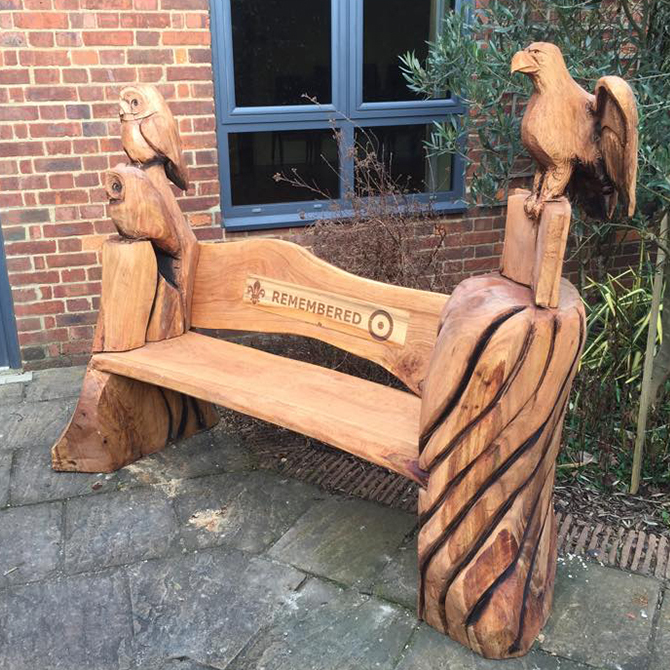 This oak bench was made for a church area in memory of people within scouting that passed away. 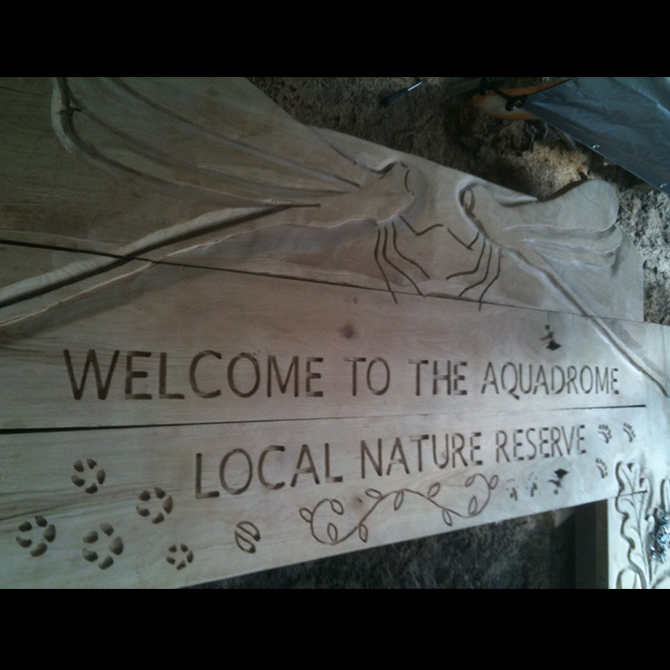 This 10ft tall by 14ft wide arch sign was carved and then not installed. 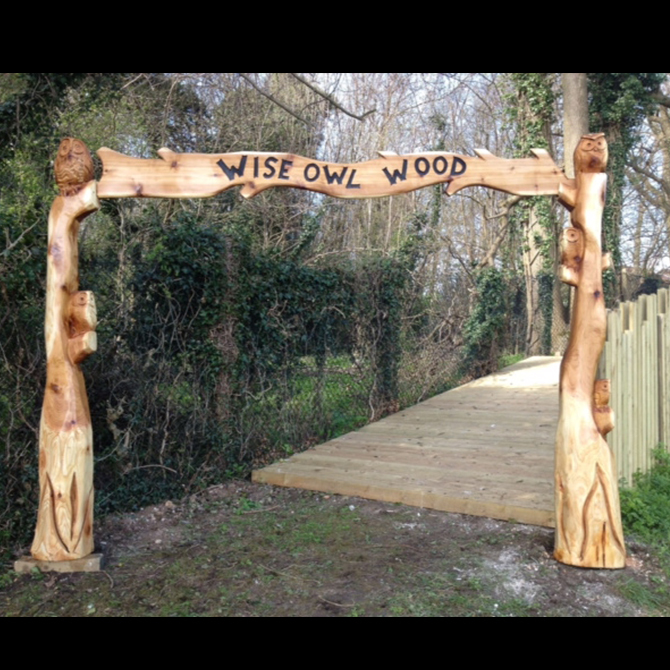 I have brought it back from the council and is now for sale again. 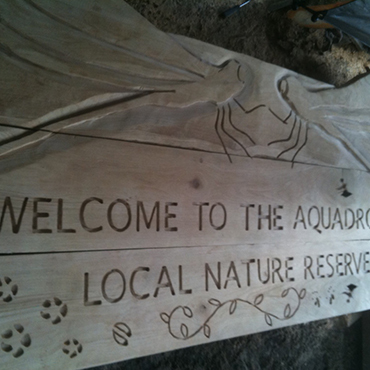 The text can be changed. 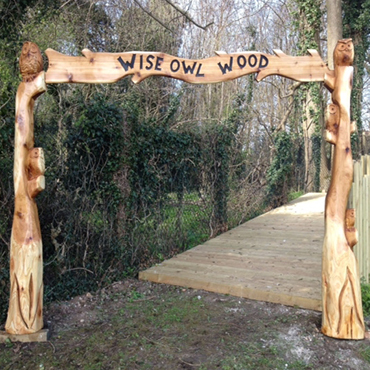 This arch was the start of the woodland trail in this Croydon schools grounds.